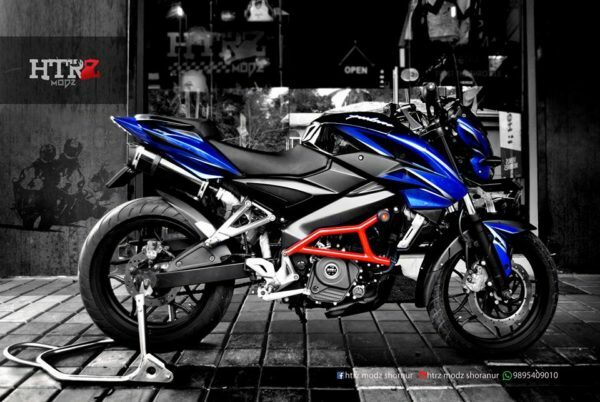 Around its perimeter frame, the Bajaj Pulsar NS200 flaunts quite a lot of its new age muscles, right out of the factory. But for some, the standard fare is just the beginning. It needs to have their signature which only goes on display once they transform the machine into a rolling example of their imagination. 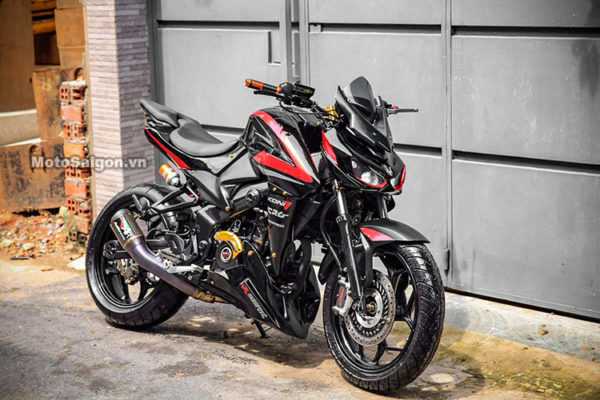 Here are 5 such tastefully modified Bajaj Pulsar NS200’s from around the world. Prepare your jaws for a drop. 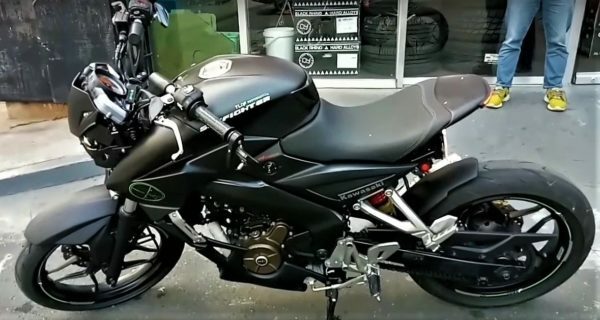 This particular Pulsar NS200’s owner was so obsessed with the Kawasaki Z1000, he took all the pains to modify a humble Bajaj to make it appear like one. Is it all show and no go? 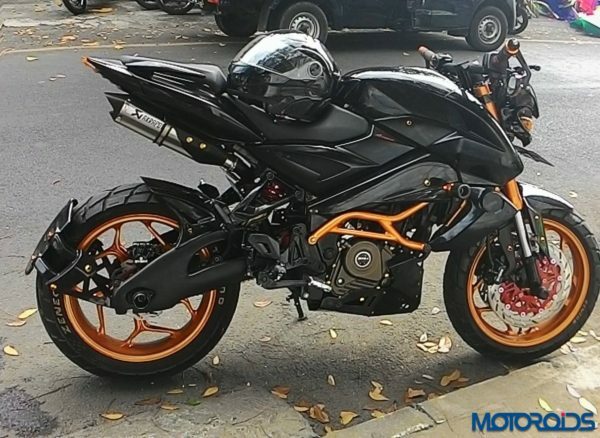 No, this bike also went through an engine upgrade and now runs a 350cc engine instead of the 200 cc motor. 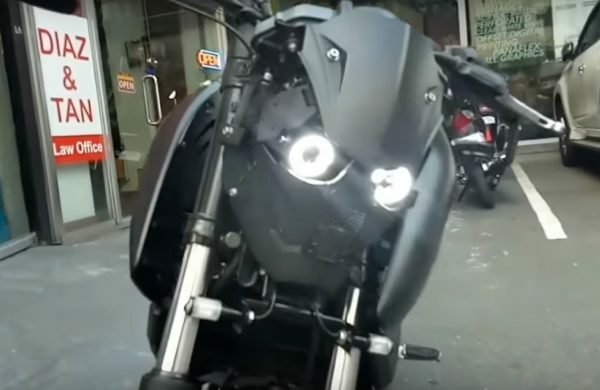 This particular example is based on a Kawasaki branded Pulsar NS200 and it has eyes, which can easily pierce through the heart of bigger bikes. 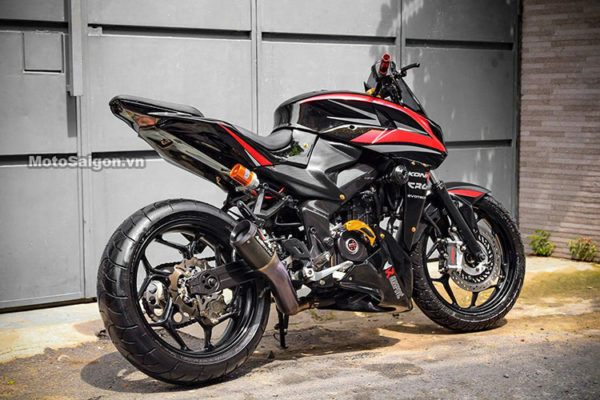 A transformation which took 45 days of hard work, this matte black S3TFIGHTER by TLDF Motomotive and its terminator like face do stand out in the crowd. 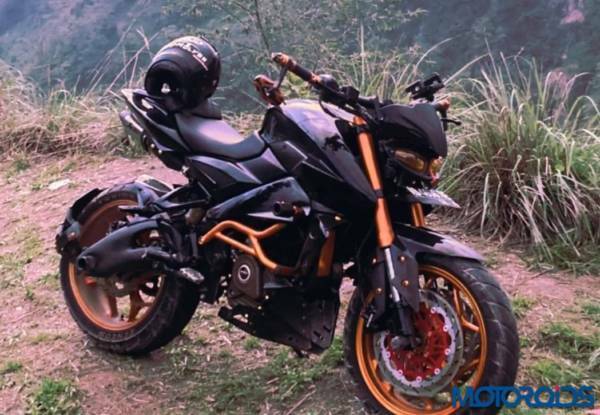 With an underseat twin exhaust system and fat, 180 section rear rubber, this Bajaj Pulsar NS200 mod by HTRZ Modz Shornur looks whacky, without being over the top. They’ve also slapped a red painted crash guard and installed it to make it look like an exposed section of a trellis frame. An underseat Arrow exhaust system, orange painted Velg wheels from Axio, a custom made turbular frame and crash bobbins with a tailor-made engine underguard. 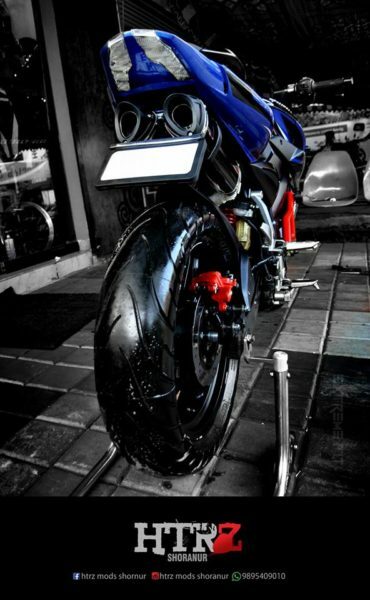 This NS200 mod by Judho Pralistyo even scores with USD front forks and an Acerbis headlight which looks the part. Unfinished and industrial. Sometimes that has its own charm too. Just like this mod job does. 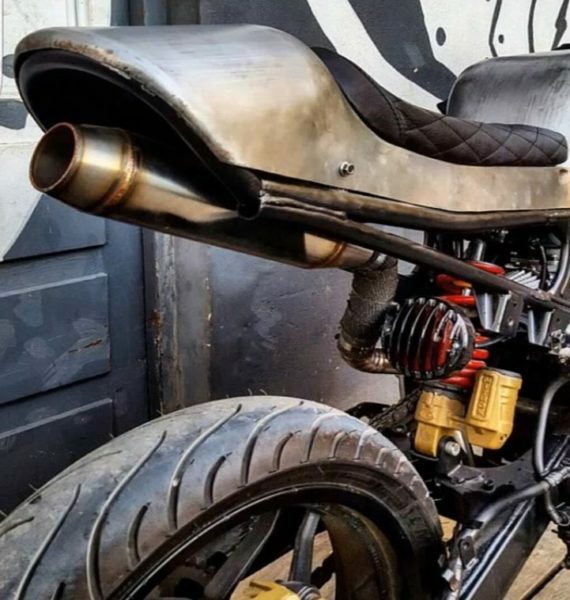 All the bike’s fanciness has been stripped apart and the exhaust has been neatly routed to open out at the back, underneath the rear panel. But we’re glad that the modern rubber and brakes managed to stay. 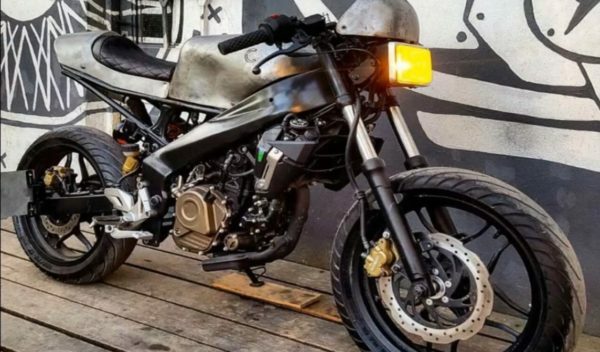 Built somewhere in South America, this Modified Pulsar 200 NS looks unique in a very different way.